Accountability: Audit information recorded in both the lock and key shows a time- and date-stamped record of every event, including authorized accesses and unauthorized attempts. Controlled Access: Keys are electronically programmed to open only specific locks during a designated schedule. Schedules may also contain an expiration point to completely disable the key until it is audited and reprogrammed. Easy Installation: Simply remove the existing mechanical cylinder and install the Medeco Logic cylinder. Efficient System Management: Medeco Logic software contains tools that will help you manage your security more efficiently. Flexible programming, scheduled access and full audit reports are offered with the convenience of stand-alone or webbased software. 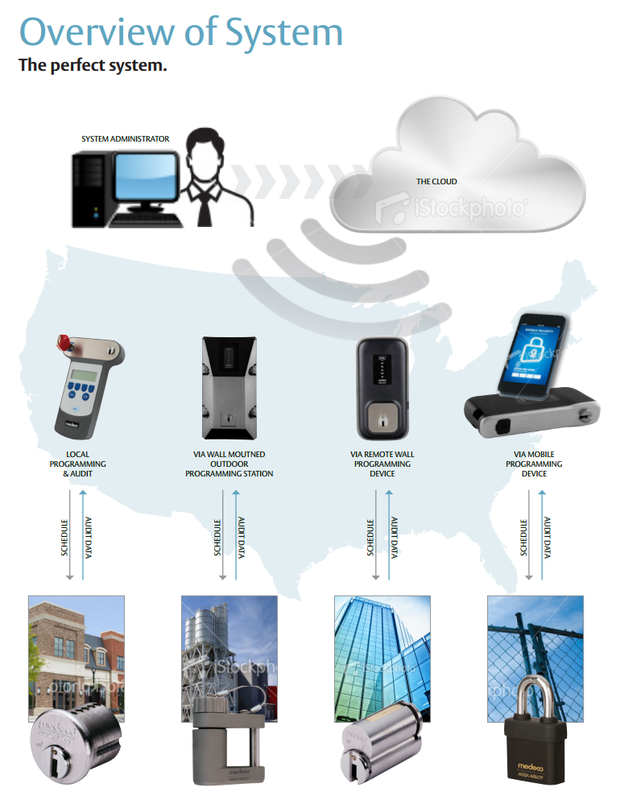 Electronic Rekeying & Scheduling: Respond quickly to security threats, lost or stolen keys, or personnel changes without the added cost of changing your locks and keys. Physical Security: Attack-resistant design and tamper-proof features provide strong protection against forced entry. 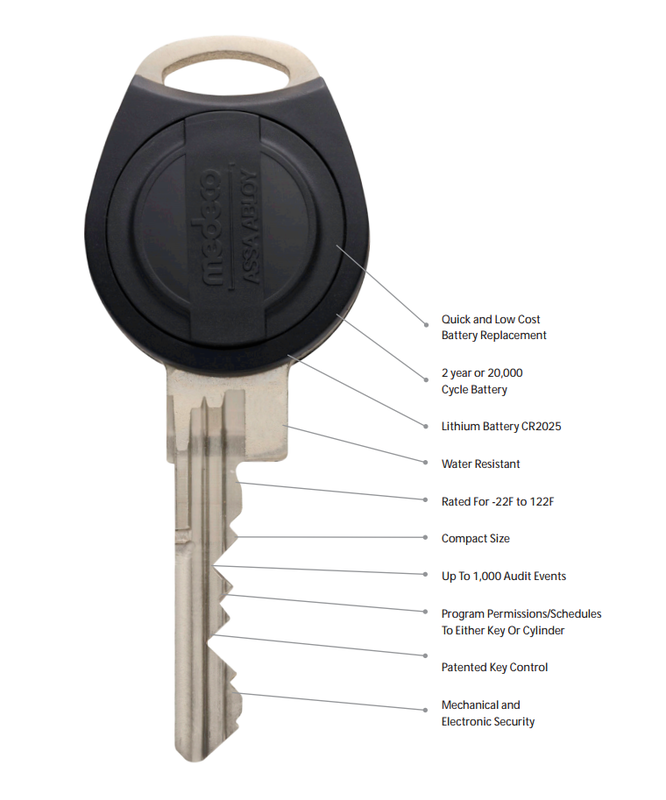 Medeco Logic is a complete electronic locking system providing Controlled Access, Accountability, Physical Security, and Effective System Management. More than just a way to protect your property, equipment and assets, Medeco Logic is also a business tool that can lead to a substantial return on investment.